The Greek government supports the choice of the Trans Adriatic Pipeline (TAP) project as a route for the export of Azerbaijani gas to Europe, First Deputy Minister of Foreign Affairs of Greece, Dimitrios Kourkoulas said at a press conference on the outcome of his visit to Azerbaijan. TAP project is designed to transport gas from the Caspian region via Greece and Albania and across the Adriatic Sea to southern Italy and further into Western Europe. TAP's support by the Greek government was stated at a meeting of the delegation led by Dimitrios Kourkoulas with the Minister of Industry and Energy Natig Aliyev, Shah Deniz consortium participants and SOCAR president Rovnag Abdullayev. Deputy Minister of Greece also stressed that the Greek government welcomes the participation of SOCAR in the tender for privatization of the Greek gas company DEPA and finds it to be a positive factor. Nabucco Gas Pipeline International GmbH (NIC) signed a Memorandum of Understanding and Co-operation (MoU) with the Trans Anatolian Pipeline (TANAP), NIC reported. 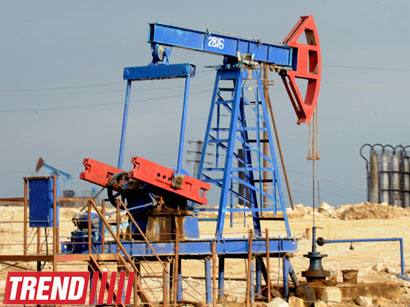 Volumes of recoverable oil reserves at the "Azeri-Chirag-Guneshli" oil and gas fields' block in the Azerbaijani sector of the Caspian Sea have increased by 76 percent. "If the initial volume stood at 511 million tons, then as a result of exploration work recoverable reserves exceeded 900 million tons," First Vice-President of the State Oil Company of Azerbaijan (SOCAR) Khoshbakht Yusifzade said at the BP's Forum on Technology, which is underway in Baku. Some 151 million tons accounts for profit oil. "In 1997, oil production dropped to record volumes, now due to "Azeri-Chirag-Guneshli" this figure increased to 50 million tons. 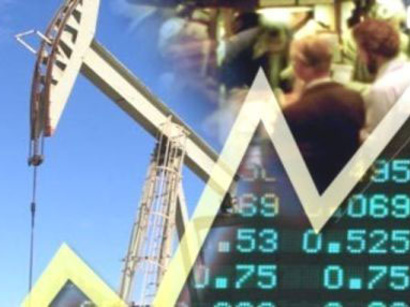 Gas production increased from five billion cubic meters to 28 billion cubic meters," Yusifzade said. The production association of "KazMunaiGas Exploration Production", "Ozenmunaygas" (Uzen oilfield, Western Kazakhstan) drilled a horizontal borehole that gave gushing oil inflow with the debit of 30 - 40 tons per day, general director of the JSC KazMunaiGas Exploration Production ("KMG" EP") Abat Nurseitov said. Some 100 million tenge (($1- 150.6 tenge) will be invested in the technical improvement of Kazakhstan's KazMunaiGas Exploration Production (KMG EP), the company's Director General Abat Nurseitov said. "The company has launched a programme of technological modernisation. It is designed for three years with an estimated amount of investments being more than 100 billion tenge," Nurseitov says. He said the new programme aims to increase oil production volume. Kazakhstan's JSC KazMunaiGas Exploration Production (KMG EP) has established a joint venture with Hungarian MOL for exploration work, Director General of KMG EP Abat Nurseitov said. "We have involved a partner in the exploration project North Karpovsky. A 49 per cent share in the project is now owned by the Hungarian Oil and Gas Company MOL," Nurseitov said. He said the company received a net profit of $8.75 million from the deal. "It is of no small importance, because it has ensured a division of exploration and investment risks in the future. Exploration is a cost-based process which offers no absolute assurance that the exploration well will give the expected result. Therefore the division of risks and costs for us today is the best option for the development of new projects," Nurseitov said. The full development of the abundant hydrocarbon resources of the Caspian Sea included in the world's inventory of the largest oil and gas reserves, is the strategic direction for developing the Turkmen fuel and energy complex, Turkmen President Gurbanguly Berdymukhamedov said in Ashgabat today, the Turkmen government reported. 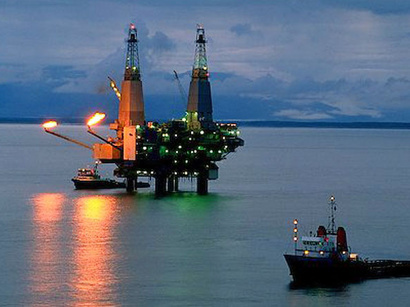 According to the president, the main increase in 'black gold' production will be observed offshore in the near future. This issue was discussed at a meeting of the Cabinet of Ministers. A report of the State Agency for Management and Use of Hydrocarbon Resources under the Turkmen President was heard. Delhi has proposed making changes to the construction of the Turkmenistan-Afghanistan-Pakistan-India (TAPI) gas pipeline. Accordingly, its length will increase and construction will start from Kazakhstan, Indian media reported. According to The Hindu, the gas pipeline will head from the former Silk Road caravanserai city of Shymkent, known today for oil refining and enter Uzbekistan. India unveiled the concept of the pipeline which in future could be extended to Russia, during a meeting between External Affairs Minister Salman Khurshid and his Kazakh counterpart Erlan Idrissov. The two Ministers will revisit the idea in the coming months. The National Holding Company Uzbekneftegas has begun work on the project on the utilisation of associated gas in Qashqadaryo Province (South Uzbekistan) at a cost of 43.4 million dollars, a company representative said. According to the representative, plants on the utilisation of associated gas with a total capacity of 450 million cubic meters per year will be constructed for the fields of North Shurtan, Garmiston, Kumchi and Shakarbulak. The first plant with a capacity of 43 million cubic meters of gas per year will be put into operation in December this year. It is planned to finish the project which is financed by Uzbekneftegas's own resources by the end of 2014.